Deputy Director of Central Intelligence John E. McLaughlin carries his papers after giving the CIA's response to the Senate intelligence report, July 9, 2004 at CIA headquarters in Langley, Virginia. At the innermost circle - the highest priority - you have to put the things that threaten the lives of American citizens, the lives of our partners and allies, the lives of our forces, and the physical security of the United States. So those are the things you can't be wrong on, or if you are wrong, you are wrong at high cost. So until the terrorist problem begins to diminish you’ve got to have terrorism in that high-priority category. You’ve got to have cyber-security in that high-priority category because of how dependent we are for everything, all our transactions, on our information architecture. You’ve got to have major weapons systems in that category and you’ve got to have dangerous materials in that category. There are something like 2,300 tons of enriched uranium and plutonium in the world and they’re not all fully secured. And if they were to fall into the hands of terrorists it could lead to a catastrophic world-changing event. So those are the things that are in the innermost circle. You get to the next circle out, it gets a little harder. I would say that there you’re going to put countries that for one reason or another are hostile to us and dangerous and therefore you want to have a tight focus on countries like Iran and North Korea. Again, North Korea could produce a history-changing event if they were to engage in proliferation of the dangerous materials they’ve been able to produce. After that I think you have to put big, important countries with uncertain futures who are not in any sense our enemies - not hostile - but countries that over time may challenge your primacy in the world and about whom we need to know a lot. And so our intelligence community needs to know a lot about China. It doesn’t mean in any sense that we’re hostile. It just means we need to understand them. We need to continue to understand Russia. We need to understand countries in that category. And the, of course, you have all the regional crises that you’ve got to worry about - the Middle East, potential crisis in South Asia, and so forth. That’s how I think about (intelligence) priorities, but you have to realize they’re always shifting no matter how carefully you calculate them. If you went back two years, I’ll bet no one had Tunisia at the top of their list. So you learn to be kind of humble in the intelligence business when you’re trying to think ahead because basically what you’re talking about here is an investment strategy. It’s just like an investment strategy because you’re trying to create capabilities that give you insights and it takes a long time sometimes to create those capabilities, particularly human intelligence - secret agents. And so you’re placing your bets all the time on where are we going to need that insight. And you may be wrong sometimes. Despite efforts of the authorities to protect lives, many don't feel safe, because of fear and suspicion. One has the complexity of our human nature to thank for and the media's willingness to make a sensation out of it. Sometimes the media lay the hands on information faster than intelligence forces. Does CIA need to be restructured? 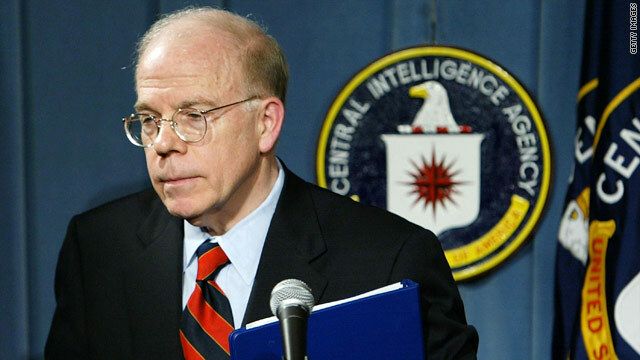 I suppose that this bozo won't tell us about the horrific and untold damage that the C.I.A.has done all around the world,such as the coup d'etat in Chile and the installation of the horrific Shah in Iran and the Golf of Tonkin incident. The list goes on and on!!! I'd like to add to the fact that those rotten butchers who operate those ungodly drones in both Afghanistan and Pakistan are also members of the C.I.A. and directly operating under the orders of Barack Obama. That makes him a worse murderer that all of the members of the Chicago mob put together,past and present! "investment" strategy. hmph. you still don't understand what it is you're buying with that money. or you don't care because no one is coming up with anything better than intelligence strategies left over from WW2 and you can't be cleaning house because you are surrounded by like-minded pplz who outnumber you.